The goal of internal benchmarking in project management is to improve the quality of your organization’s projects and processes by comparing projects, methods or processes with each other. Internal benchmarking in project management enables you to improve your project management methods and processes. It works as follows: First, you choose a benchmark project, i.e. a particularly successful project. Then compare this successful project with your other projects and identify the differences between them. Based on these insights, develop and implement improvement measures. The aim is to increase the efficiency and effectiveness of your projects and increase the quality of your project management. As we’ve already mentioned, the first step is to identify a particularly successful project that will serve as your baseline. This benchmark object can be a project that has been successfully completed, or it could be a process or project management process thanks to which the project team could complete the project successfully. The next step is to select the projects you want to compare with the benchmark project. You can look at a few projects, or compare all your remaining projects with the best practice example. Collecting data for internal benchmarking is much easier than for external benchmarking, since all the information is available in-house. Collect all the necessary project data from your project archives and survey your project managers to get first-hand information and data. Remember to collect data from the benchmark object as well as the comparison objects. Only then will you be able to make an accurate comparison. Develop a plan to improve your projects based on the identified gaps and causes. The goal is to improve your existing projects so that they’re on the same level as the benchmark project. It’s important to remember that benchmarking is always part of a continuous improvement process. 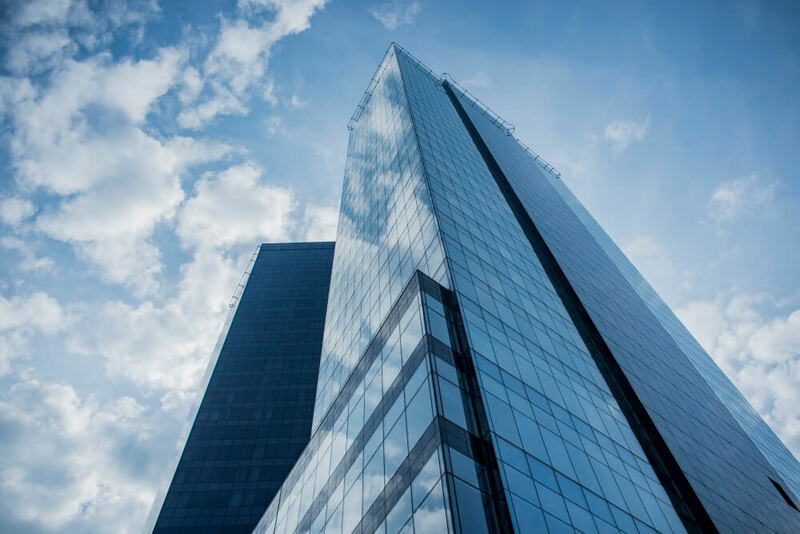 You should constantly check your projects for existing and new performance gaps compared to the competition, this will enable you to reach a high degree of efficiency. 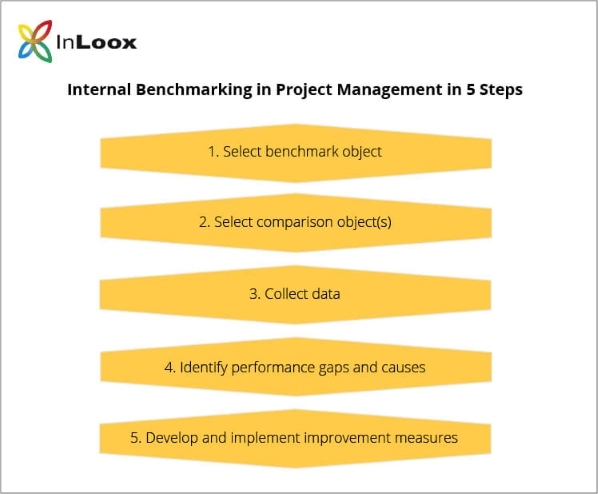 Benchmarking in Project Management (2): Internal Benchmarking - InLoox • Copyright 1999-2019 © InLoox GmbH. Alle Rechte vorbehalten.